This is a rather unusual combination that I wouldn't have expected much from. To tell the truth, this combo came about because I had one hydrosol that needed finishing and another with only a splash left in the bottle. The third was juniper. I hadn't yet tried mixing anything with juniper – ever. There was only one thing to do: throw caution to the wind and give it a whirl. I learned something new. 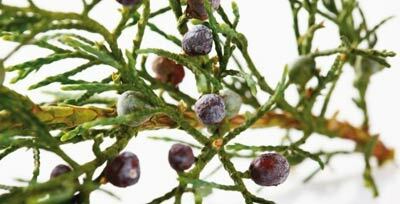 Juniper is cleansing, purifying and has some astringent properties. It helps clear skin and stimulate circulation. As a stand alone hydrosol, it's great for reviving tired feet and legs (superb after a long day of walking or shopping). It is equally effective as a stimulating scalp tonic. Its green, resin-like scent is almost medicinal and has a manly, serious quality about it. At the same time, the scent is quite refreshing and 'foresty'. 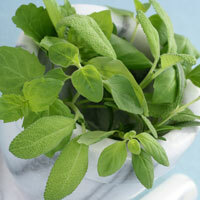 Sage hydrosol offers purifying, balancing, and deodorizing properties. It also brings sweat-inhibiting qualities (ideal for hot summer days and hot flashes). The crisp, green, scent is mild and quite pleasant. See this earlier post about sage for more info. 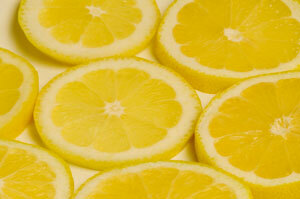 A lemon 'hydrosol' isn't a true hydrosol. 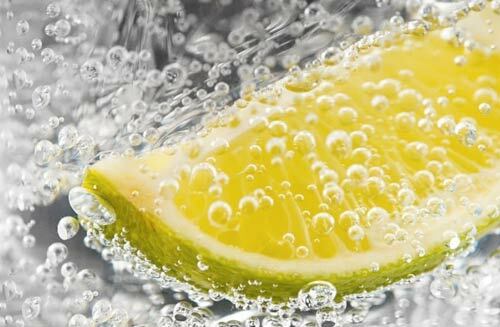 Because lemon essential oil is not made from steam distillation, but from pressing the rinds, it is only possible to make a lemon 'hydrosol' with evaporated and condensed organic lemon juice. It is a lovely, mild, and skin-friendly liquid with a large concentration of aromatic molecules (and smells delicious). See this earlier post about lemon for more info. Gin is mixed with all kinds of other spirits, so, logically, one would assume a juniper hydrosol would lend itself to participating in a hydrosol cocktail. And so it does! These 3 hydrosols mix so beautifully that it is pure refreshing luxury to use this blend as a skin drench. I will most definitely be repeating this combination. It's positively exhilarating! Lesson: don't be afraid to throw caution to the wind when mixing hydrosols!